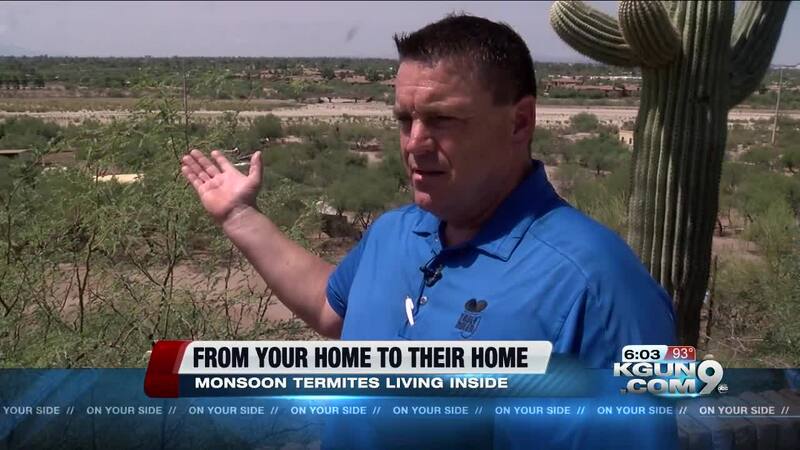 In the dry desert many people think they can't be victims of little critters but termites do destroy homes if there's a place for them to feed. Especially , during the wet monsoon months. Southern Arizona may be a hot dry desert but during monsoon the rain makes homes moist. Officials with Truly Nloen Pest control says, "the reason this is important for homeowners to be aware of is because drywood termites are different than the subterranean ones that most homeowners deal with in the Tucson area and as a result, Drywood termites require different treatment, so proper identification is key. "It causes termites to come out of their natural environment into the trees they live in, fence post and structures and they tend to swarm 6-8 times a years they will travel to their environment into a new environment," says Brian Harper with Truly Nolen. Termites are drawn to three things - moisture, heat and wood. The Pantano wash is a perfect location for them. 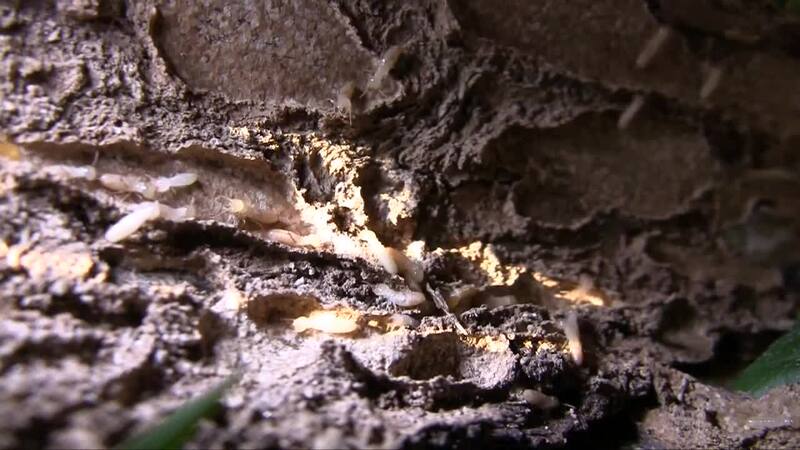 Spokespeople with Tuly Nolen says drywood termites have been swarming in the area. Harper says, "Anytime you have a natural environment like the Pantano wash - termites will tend to move through it from one point to the next. They're weak flyers so they can't fly for very long because they will dry out." As developers continue to build into termites' natural environment - they will continue to infest homes. The best way to avoid termites damaging your home - is regular maintenance such as painting, ceiling and caulking. 1) Drywood termite colonies can be bigger in a home than in nature because there are no natural predators present. 2) Homeowners will often see lots of dropped wings by windows because Drywood termites can only detect light and dark and they are drawn to the light. However, they cannot see glass so they end up "crashing".